Social networks like Facebook and Twitter were perhaps the first to create an opportunity for charitable organizations and foundations to set up a presence in the social media space. However, more currently they have been overshadowed by a young upstart social network called Tsu, which in its short 9-month tenure has earned a solid reputation as the go-to platform for social giving, particularly when it comes to animals. Presently there are 59 charities that have registered on the new social network -- five of which are dedicated to animal rescues, shelters and sanctuaries. Tsu’s unique monetization model is predicated on paying its users for their content, where they earn daily royalties that are deposited into their account's banks. This repository of funds is what makes donating an easy and seamless process on Tsu, particularly when it comes to microdonations (For more on how Tsu’s algorithm works, see my previous post, titled: GoodWorld & Tsu, Social Networks With Charitable Algorithms). Transactions are all internal and don't require a user's credit card. The ease of donating to any or all of these charities is built into the Tsu monetization scheme. After a charity has submitted documentation that substantiates itself as a bonafide fund-raising enterprise (e.g. 501(c)(3)tax-exempt form), the network affixes a DONATION button to its profile page - where users simply click and enter the amount they want to donate (starting as low as $.01 if they like). 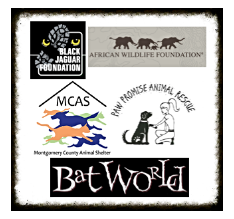 The five current charities on Tsu with a focus on animals include Montgomery County Animal Shelter, Paw Promise Animal Rescue, Black Jaguar Foundation, African Wildlife Foundation and Bat World Sanctuary. 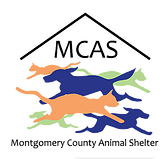 AT MCAS, they work diligently to re-home unwanted and stray dogs and cats, promote the humane treatment of animals, prevent cruelty to animals and provide a facility to return pets to their rightful owners.Located in Woodlands, Texas, the shelter is operated by Care Corporation and relies heavily on volunteers. The facility has been credited with taking in a staggering 20,000 homeless and unwanted pets each year. Their Tsu link can be found here and their website is located here. Located in Scottsdale, Arizona, PPAR’s purpose includes all activities, work and objectives as they relate to the adoption, rescue and humane treatment of dogs, cats and other animals. They also help educate and inform the general public with respect to issues related to homeless dogs, cats and other animals through publications, presentations, promotions, advertising and all other effective or available means. Their Tsu link can be found here: and their website is located here. Deforestation has decreased the black jaguar’s habitat by 65-percent, where only 600 wild black jaguars are alive on the planet today. Saving and restoring jaguar habitat is symbolic to preserving the world's most vital ecosystems: the Amazon Rainforest and Cerrado Savanna. Their goal is a tangible contribution to realize the Araguaia Nature Corridor: the longest biodiversity corridor on earth and one of South America’s largest reforestation projects. The AWF maintains a rich history in conservation. In 1961, African Wildlife Leadership Foundation, Inc., later African Wildlife Foundation (AWF), was established to focus on Africa’s unique conservation needs. The foundation is currently working with the Ethiopian Wildlife Conservation Authority to reduce encroachment and pressure on the park, develop a tourism plan and improve tourism facilities in the park, train scouts and community guides, construct and invest in a cluster of conservation primary schools for nearby local communities, and effectively conserve both the Ethiopian wolf and Walia ibex. Bat World Sanctuary is on the front line to e nd the abuse and destruction of bats. They are recognized as the world’s leader in bat care standards and rehabilitation treatments. Many do not know that bats are clean, gentle and intelligent. They are vital to the ecosystem, and they enhance our lives in many ways. Fruit and nectar bats bring us approximately 450 commercial products, and over 80 different medicines through seed dispersal and pollination. Up to 98% of all rainforest regrowth comes from seeds that have been spread by fruit bats. Please consider donating to these important charities, whether or not you join this social network. 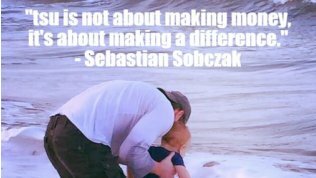 For those who would like to learn more about these charities and others, this Tsu link will allow you take a sneak peak at all of the 42 charities represented on the network, without being obligated to join. And for those who would like to join, simply click on my welcome invitation to start the quick and easy registration process.